If you’re ready to purchase, you’ll need the right Realtor. Whether it is your first home or tenth, having a seasoned expert to successfully guide you through this exciting process is crucial. Keith has over 25 years of experience in real estate and knows all the ins and outs of buying and selling in Naperville as well as the surrounding suburbs. What sets him apart in this field is the care and compassion he has towards his clients. You need an experienced hand and someone trustworthy to guide you in this venture and Keith has proven time and time again that he is one of the best in real estate. Known for his professionalism and commitment as a Naperville real estate agent, Keith’s incomparable experience will make all the difference in the search for your perfect home. His vigorous response to varying demands has consistently exceeded his clients’ expectations. As a top Realtor, Keith Wagner derives great joy from helping make his clients’ dreams a reality. Buying a house is a big moment in a person’s life. It is fun and exciting but can be daunting as well. In a perfect world it would be a simple process; someone wants to sell a house and you want to buy it, you pay for it and it now belongs to you. As one of the top real estate agents in the area, the keystone of Keith Wagner’s success is the relationships and friendships he builds with his clients. 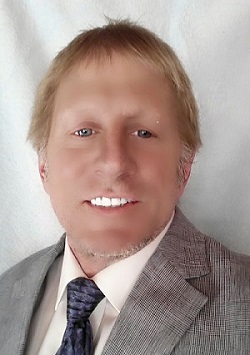 He treats each home as his own, his clients like family, and works with total care and personal attention on every project, employing his expertise not only in real estate, but also in preparing a property for the marketplace, or in searching for your dream home in the area’s real estate market. His goals are simple: to keep more money in your pocket, and to allow you to rest assured knowing that everything is taken care of.